Chapter 2 - The Lunar Way - "17 – Liberation through Death"
Some people are really overly literal. Of course the insulting variant of Aelwrin’s nickname is “Beet-Pot”. I kind of love that her (extended) aura starts to block out all other backgrounds as she approaches; a nice artistic rendering of her ‘presence’ through the principal of detail drawing the eye. I am sort of curious about the mens’ hair and beard styles. I know I’ve seen similar depictions in various Babylonian / Akkadian historical places, and I’m wondering if anyone knows if those representations are meant to be curled, braided, or woven in some fashion? Are there good resources around best archaeological guesses as to what those looked like in life? My quick Googling turned up sadly limited resources. Well, the funny thing is – I am not entirely sure either. I think they are supposed to be curled, but I am not entirely sure. 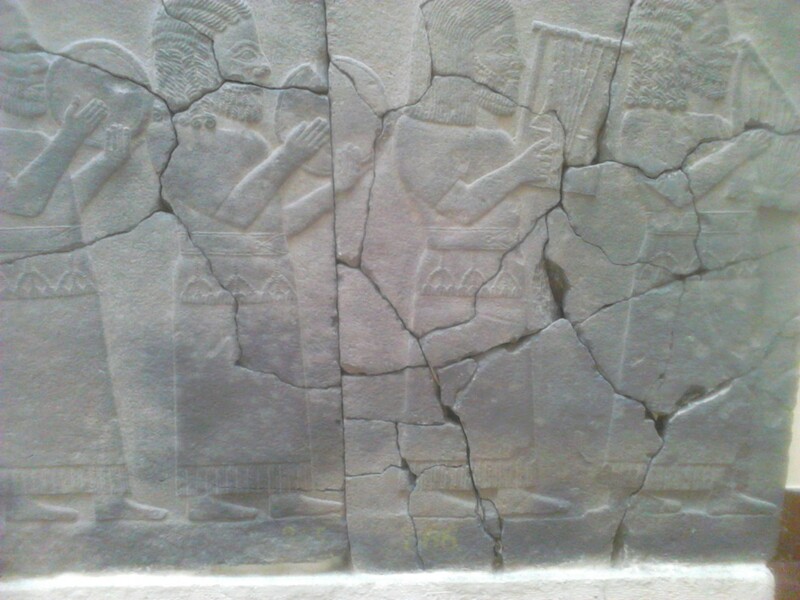 The beards of the Dara Happan generals is styled after the way Mesopotamians portrayed hair and beards like that. (See this for reference, though I apologize for the blurry picture, i had to take it with a phone: http://i.imgur.com/9EmQf5v.jpg ). Since the original source of inspiration for the drawing portrays curls in such a manner I decided it would fit if they look similar in the comic. If you ever happen to go to Istanbul, I strongly urge you to visit the Archeology Museum, it contains some amazing pieces that could very easily be fitted into Glorantha. Hey, glad someone found it! Is there supposed to be any actual alt text (other than the note that we discovered it)? Nah, that was the alt text. The alt-text really is quite clever! What is the rune in Jar-Eel’s halo? I see a death rune and a moon rune, but can’t figure out the filled-in portion. That is, strangely enough, Jar-Eel’s rune. It’s her personal one. “Few mysteries remain unconned”… but one of them is who this guy is I’ve been sent here for… would one of you mere mortals mind giving me a bit of a head’s up?